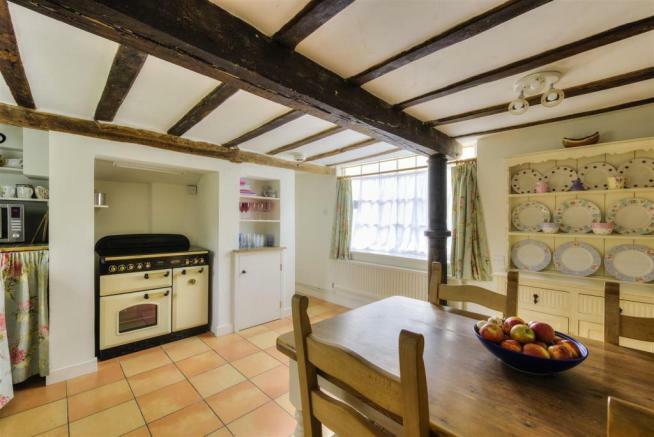 Built in 1650, The Old Post Office is a charming family home bursting with original period features. 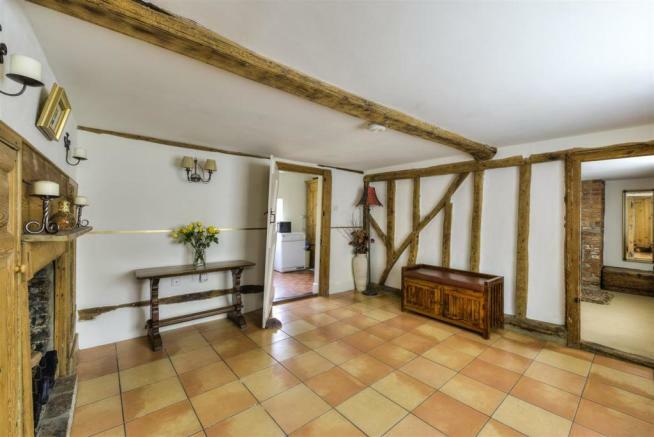 It is located in the heart of the village of Fowlmere and is believed to be one of the oldest properties in the area, still retaining beautiful exposed timbers and open fireplaces. 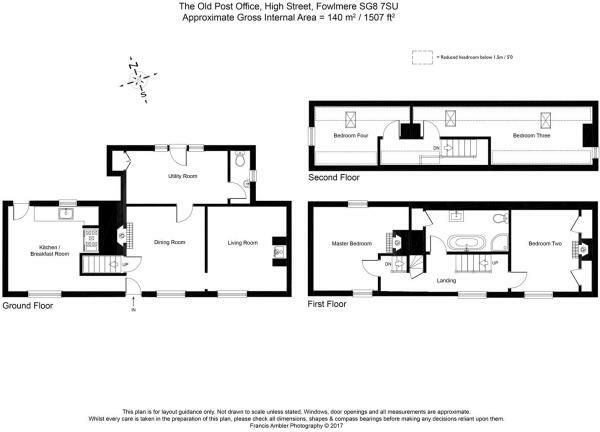 Arranged over three floors, there is good-sized accommodation throughout, consisting of four bedrooms, a family bathroom with claw-foot freestanding bath, a large entrance hall/dining room, a comfortable living room, utility room and a light and airy kitchen breakfast room with a bowed window to the front, which is the original shop window. To the rear is an appealing, private garden which is mainly laid to lawn and surrounded by rose bushes. 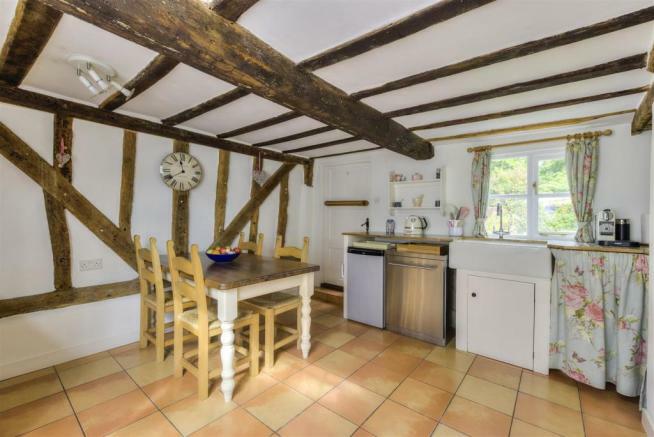 Fowlmere is a very popular village, with a beautiful church, highly-regarded eat-in pub/restaurant, Indian restaurant and take away, a village hall which hosts many events including an excellent monthly Saturday farmer’s market, recreation grounds and a primary school. It also boasts the former RAF Fowlmere Airfield and RSPB Nature Reserve. Duxford War Museum is reachable in five minutes. 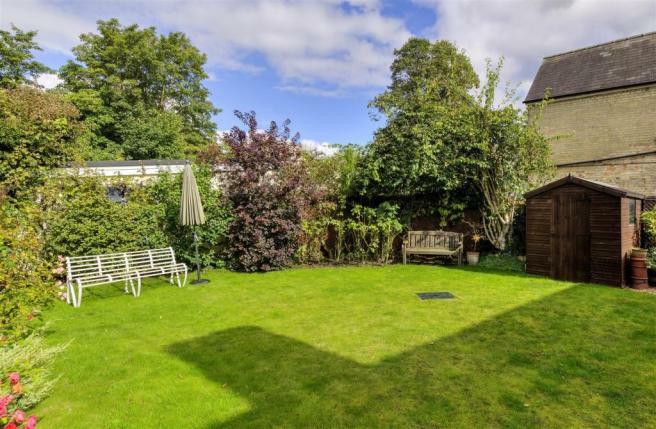 The nearby village of Foxton is 4 minutes away, with another primary school, shop, pub, cricket and bowling clubs and a railway station offering trains into London Kings Cross in less than an hour. Cambridge is just 9 miles away, and Trumpington Park and Ride is a 10 minute drive. Royston is 5 miles away and offers further amenities as well as a fast rail link which takes you into central London in less than 40 minutes. The M11 is easily accessible. The quintessentially English village of Fowlmere has a history dating back to at least early Saxon occupation. 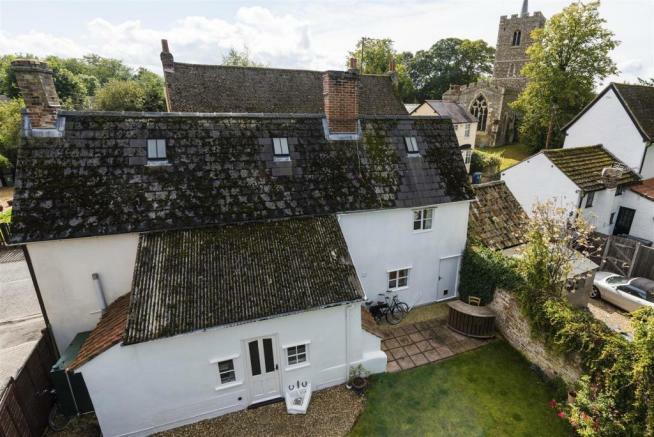 This unique family home is set in its centre, close to the church of St. Mary and the 16th Century Chequers Inn. 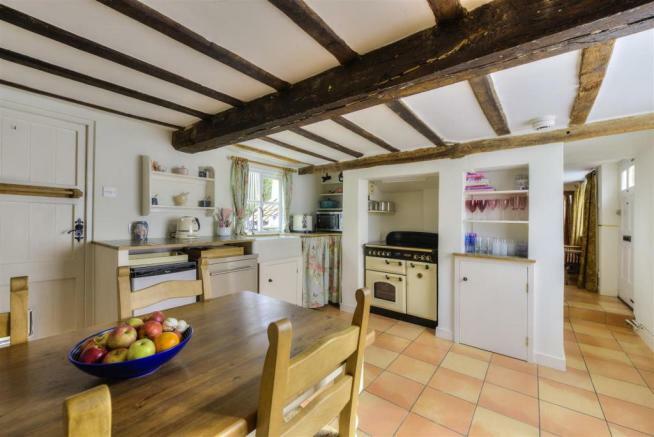 Built in 1650, The Old Post Office has been sympathetically restored and is bursting with original period features, all of which blend in with the layout of the home. 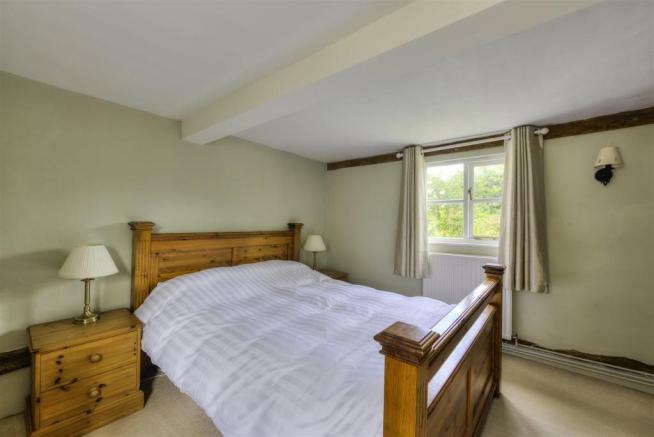 Fowlmere has a strong sense of community, with a host of activities emanating from its thriving village hall, especially its Saturday farmer’s market, whilst the village pub, once a favourite with Samuel Pepys, is within walking distance. 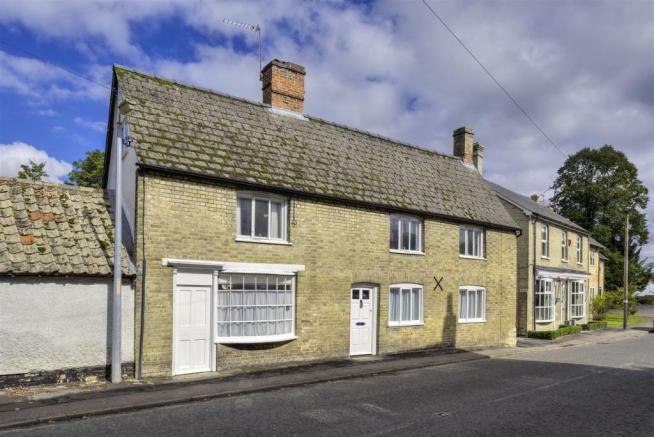 There is a good choice of both independent and state schools within easy reach, either in the surrounding villages or towns. Convenience stores are located nearby, but a wider range of shops is easily accessible. Major roads are very close, whilst Royston, just five miles away has an excellent rail link into London Kings Cross with a typical journey time of under 40 minutes. The outstanding city of Cambridge is only nine miles away, offering fabulous shopping, restaurants, theatres, museums and of course world famous architecture. Duxford Imperial War Museum is also very close, meaning Spitfires and other classic aircraft can often be seen gracing the skies. Living Room - 3.60m x 3.60m (11'9" x 11'9") - Window to front aspect. Exposed beams to wall and ceiling. 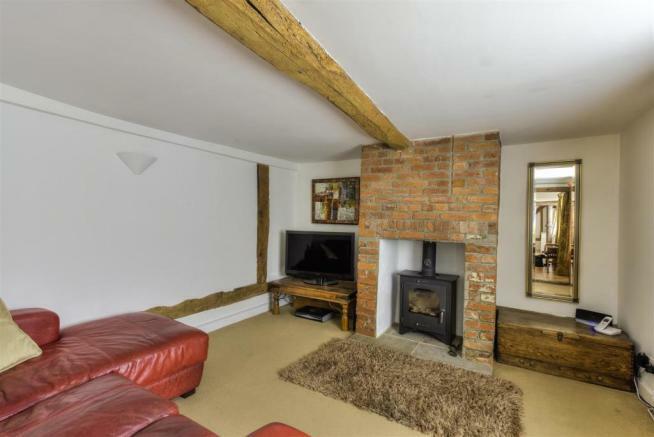 Feature fireplace with inset wood-burning stove, tiled hearth and exposed brick chimney breast. Radiator. Utility Room - 4.60m x 2.40m (15'1" x 7'10") - Two windows and door to rear aspect. Double doors to built-in storage cupboard. Floor-mounted boiler. Butler sink. 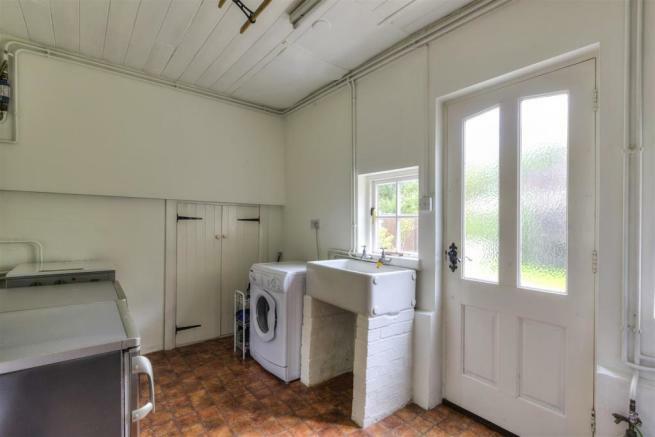 Space for fridge freezer, washing machine and tumble drier. Cloakroom - Window to side aspect. Two piece suite comprising a low level WC and hand wash basin with tiled splashback. Kitchen Breakfast Room - 4.35m x 3.85m (14'3" x 12'7") - Bow window to front aspect. Window and door to rear aspect. Exposed beams to wall and ceiling. Fitted with a range of base mounted units and display shelving, with tiled worksurface. Butler sink with swan neck mixer tap. Space for under-counter fridge and dishwasher. Recessed space for Rangemaster cooker with extractor and light over. Tiled floor. Radiator. First Floor Landing - Window to front elevation. Bespoke solid wood staircase to second floor landing. Exposed beams to wall. Door to storage cupboard with original old staircase. Recessed ceiling lights. Radiator. Bedroom One - 3.80m x 2.85m (12'5" x 9'4") - Windows to front and rear elevations. Exposed beams to walls. Feature fireplace with wood surround and mantel. Storage recess for clothing. Radiator. Bedroom Two - 3.70m x 3.05m (12'1" x 10'0") - Window to front elevation. Exposed beams to wall. Feature fireplace with wood surround and mantel, and tiled hearth. Two built-in storage cupboards. Radiator. Family Bathroom - Exposed timbers to wall. 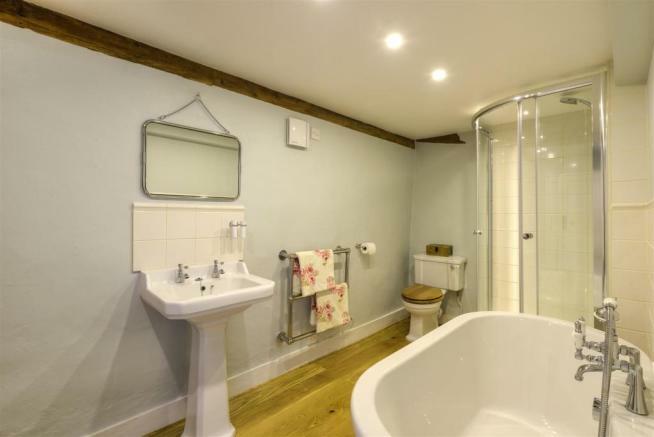 Four piece suite comprising a low level WC, pedestal hand wash basin with tiled splashback, corner tiled shower cubicle, and roll-top claw-foot double-ended bath with central Victorian-style mixer tap and hand held shower attachment. Half-height tiling to wall behind bath. Door to built-in storage cupboard. Engineered oak floor. Recessed ceiling lights. Radiator and heated towel rails. Second Floor Landing - Recessed ceiling lights. Bedroom Three - 4.60m x 2.65m (15'1" x 8'8") - Low window to side elevation. Two velux windows to rear elevation. 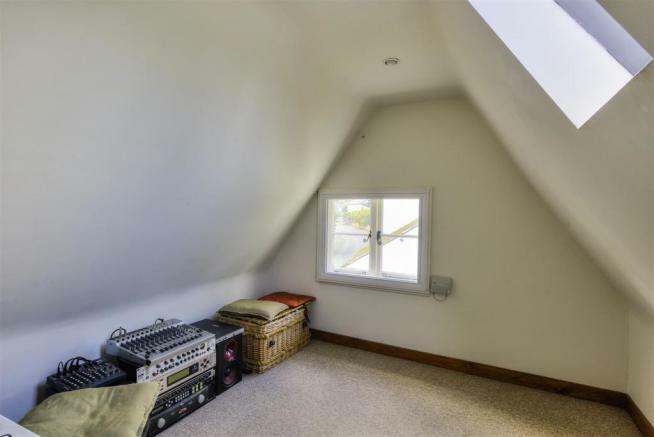 Pitched ceiling. 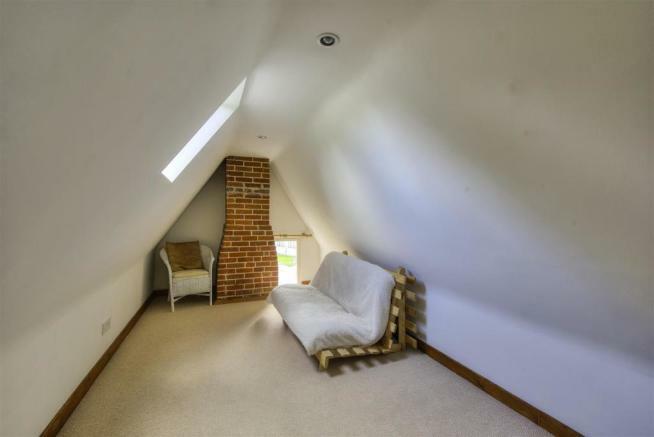 Exposed brick chimney breast. Recessed ceiling lights. Radiator. Bedroom Four / Study - 2.85m x 2.70m (9'4" x 8'10") - Window to side elevation. Pitched ceiling. Velux window to rear elevation. Recessed ceiling lights. Radiator. 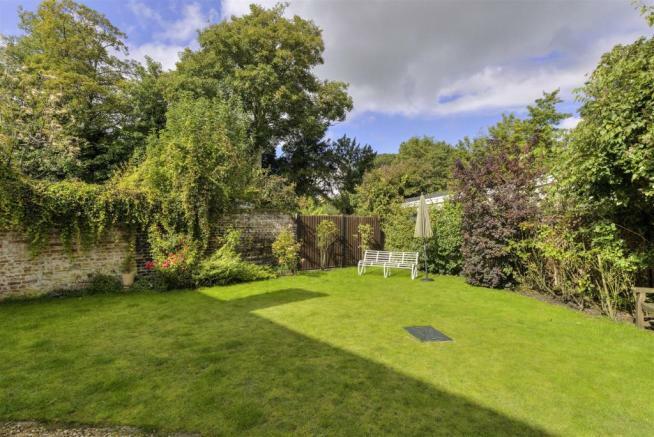 Outside - There is side-gated access to the private rear garden, which is mainly laid to lawn, enclosed by a wall to one side, and mature shrub, rose bush and flower borders. Grape vines. Timber shed. Paved patio area. Gravelled pathway/patio area. Disclaimer - Property reference 27285329. The information displayed about this property comprises a property advertisement. Rightmove.co.uk makes no warranty as to the accuracy or completeness of the advertisement or any linked or associated information, and Rightmove has no control over the content. This property advertisement does not constitute property particulars. The information is provided and maintained by Fine & Country, St.Neots. Please contact the selling agent or developer directly to obtain any information which may be available under the terms of The Energy Performance of Buildings (Certificates and Inspections) (England and Wales) Regulations 2007 or the Home Report if in relation to a residential property in Scotland.